A Governors Highway Safety Association (GHSA) report projects 6,227 pedestrian deaths nationwide last year. The projection is based on state data for the first six months of 2018 and is adjusted based on historical trends. The projected number represents a 4 percent increase from 2017, when 5,977 pedestrians died in traffic accidents. The GHSA projects pedestrians will account for 16 percent of all traffic deaths in 2018, compared to 12 percent in 2008. 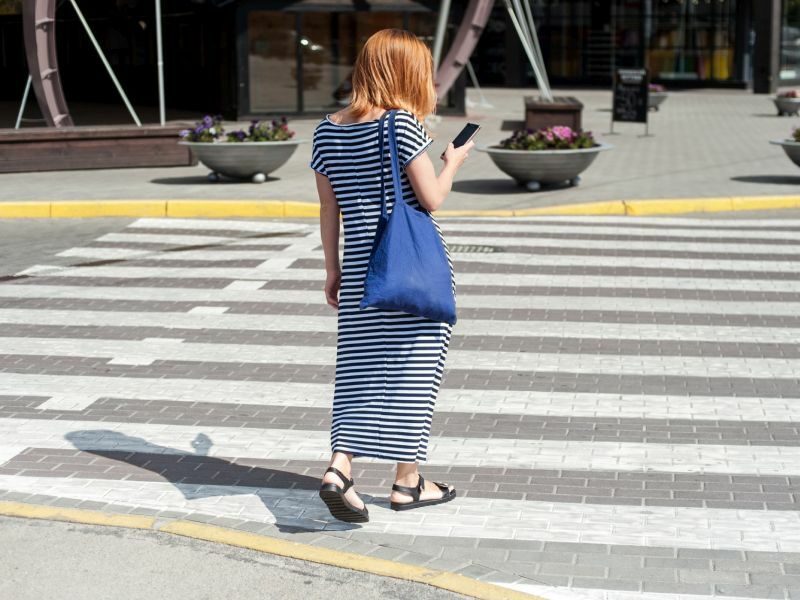 "While we have made progress reducing fatalities among many other road users in the past decade, pedestrian deaths have risen 35 percent," said Jonathan Adkins, executive director of GHSA. "The alarm bells continue to sound on this issue; it's clear we need to fortify our collective efforts to protect pedestrians and reverse the trend." While advances in vehicle safety and technology have increased vehicle occupants' odds of survival in a crash, pedestrians remain just as vulnerable to serious or fatal injuries when hit, the GHSA noted. Several factors may be behind the rise in pedestrian deaths. Americans are walking more, increasing their risk of being hit by a vehicle. The number who told pollsters they had walked to work in the past week rose about 4 percent between 2007 and 2016. Most pedestrian deaths occur on local roads, at night, away from intersections, pointing to the need for safer road crossings, GHSA said. Over the past 10 years, nighttime crashes represented more than 90 percent of the increase in pedestrian deaths. Unsafe behaviors behind the wheel such as speeding, distracted and drowsy driving put pedestrians at risk, according to the GHSA. Alcohol impairment by the driver and/or pedestrian was reported in about half of crashes that resulted in pedestrian deaths in 2017. Pedestrian deaths in crashes involving sport utility vehicles (SUVs) have risen 50 percent since 2013, compared with a 30 percent increase for passenger cars, the report said. Even though passenger cars still account for the majority of pedestrian deaths, SUVs represent an increasingly large percentage of registered vehicles. They generally cause more severe pedestrian injuries, GHSA pointed out. "Crossing the street should not be a death sentence," report author Richard Retting said in the news release. "We have a range of proven infrastructure, engineering, and behavioral strategies that we know can reduce pedestrian deaths," he said, adding that critical improvements to road and vehicle design are being made but require significant time and resources to put into place. "It is also important to conduct law enforcement and safety education campaigns now to ensure drivers and pedestrians can safely coexist. It's crucial to do everything we can to protect pedestrians utilizing a broad approach," Retting added. The report did contain some good news: 23 states reported fewer pedestrian deaths for the first half of 2018 compared to 2017. Six states had double-digit declines and three had consecutive years of declines.